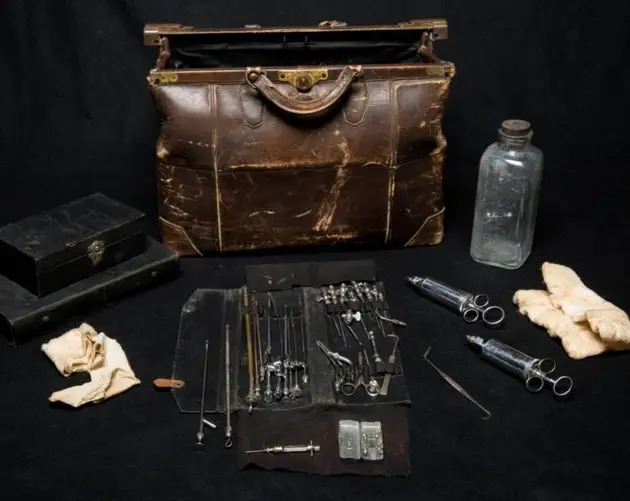 The collection of Dr. Thomas Mütter begat this funhouse of morbid curiosity, and currently houses over 20,000 specimens of medical abnormalities. These human hands from the 19th century collection of Dr. Thomas Dent Mütter show the effects of a condition called gout – an ailment Mütter suffered from himself later in life. A skillful anatomist cut away the outer bone layers of this child’s skull (with normal tooth development) to show the structure of the adult teeth sometime before 1941. The donor is unknown. A jar of dried human skin, donated in 2009, belonged to a 23-year-old Caucasian who saved skin she peeled off her feet; it serves as a visual representation of the mental disorder Dermatillomania, the compulsive need to pick at the skin. A donated ovarian cyst weighing 74 pounds when it was surgically removed in 1865. Surprisingly it is not the largest cyst recorded – an astounding 182-lb cyst was removed from a Shanghai woman one year prior in 1864. Inside the creepy yet clinical Mütter Museum, skeletons of all shapes and sizes reside – as well as President Grover Cleveland’s jaw tumor, deformed babies in jars, and preserved organs of all kinds. While its contents may resemble a mad scientist’s funhouse, the museum’s roots actually pay tribute to one of the most humane, respected, and talented surgeons in history. Dr. Thomas Dent Mütter’s unique empathy as a young surgeon garnered many loyal patients. The good doctor was inclined to help even the most hopeless of cases; those with drastic disfigurements that most people considered “monsters”. Next, check out these haunting photos of insane asylum patients from the 19th century, and then find out about 13 of PT Barnum’s most famous sideshow oddities.